Vine will be closing down soon Twitter is shutting down Vine due to some layoffs that’s been done to the company. This means no more video sharing in the coming months. RIP, Vine. Best Buy will sell VR headsets with free demo If you’re one of those people with a great curiosity when it comes to VR or virtual reality technology, then you got to try it to love it. At Best Buy. Atlas Bay and Real Estate Marketing in VR Virtual Reality meets real estate marketing and makes a very promising prospect in selling apartments and houses. This is how Atlas Bay is planning to face the future. Let’s go Car Shopping in VR Would you want to look at more cars in just minutes while still getting that complete car shopping experience? Let’s try virtual reality then. Action Cam on a Rugged Smartphone from Kyocera The Kyocera Duraforce Pro is probably the best rugged smartphone for the adventurous spirit in you. With built-in action cam, will it beat the GoPro? 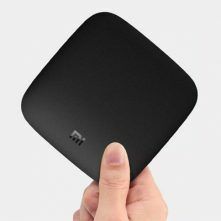 Xiaomi 4K Mi Box announced at Google I/O It’s an Android TV device that have Bluetooth remote and voice activation, acts like a Chromecast for the living room and plays 4K video. Welcome, the Xiaomi 4K Mi Box. Let Vivid Sydney App be your Tour Guide Vivid Sydney 2016 is the best festival in the winter season in Australia! Don’t know where to start? Don’t know anyone yet around Sydney? 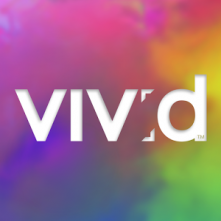 Let Vivid Sydney app help you go to the event that you really want!